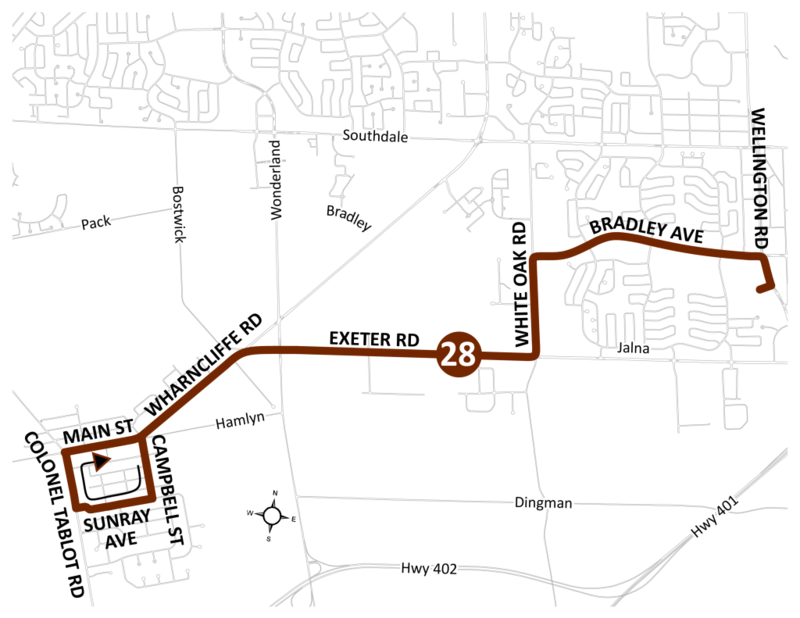 Route 28 would operate between Lambeth and White Oaks Mall via Exeter and White Oak Road. The Route has consistently been underperforming below the productivity standard. An opportunity exists to provide transit service to a business park and industrial area that are currently outside the 400 meter service coverage area. Both the Meadowbrook Business Park and White Oak Road industrial area were part of the Industrial Service Strategy discussions and it is anticipated that this area has the greatest potential to meet minimum productivity standards with a conventional transit service. 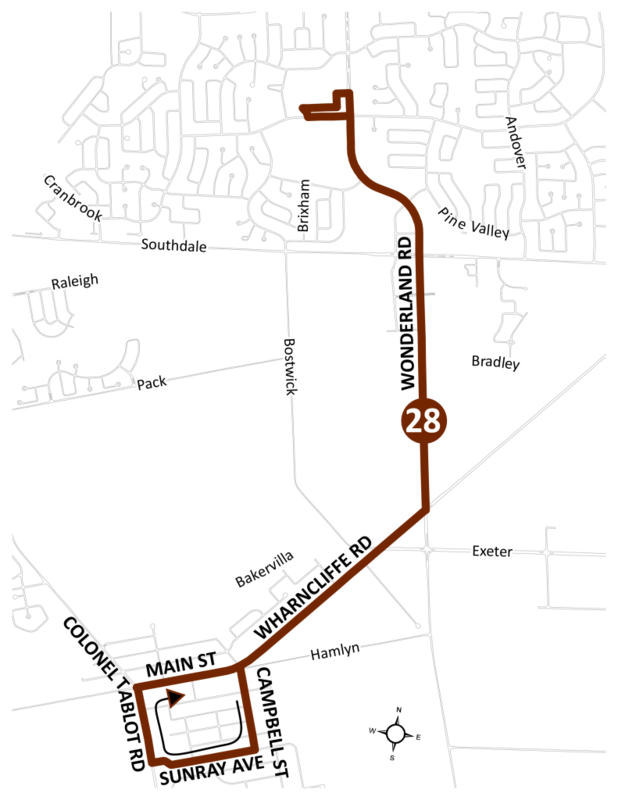 Route 28 operates on weekdays during peak periods which aligns well with the shift times of the employers. Frequency would be reduced from 30 to 40 minutes.